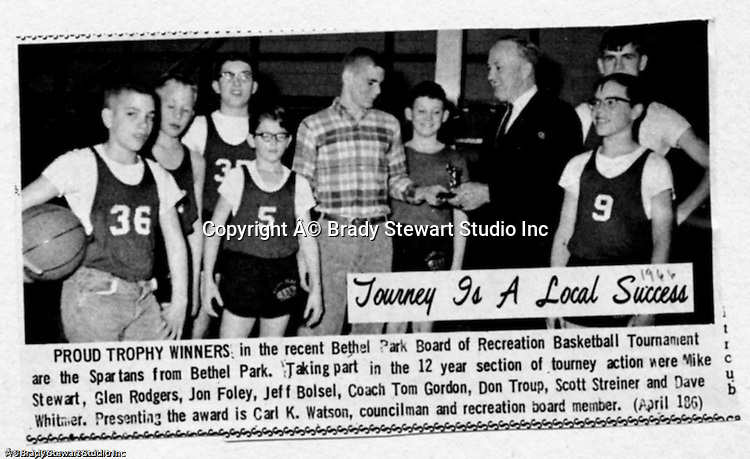 Bethel Park PA: Bethel Recreation Basketball Tournament at Bethel Junior High School on Park Avenue. This team won the first place trophy for 12 year olds - 1966. Mike Stewart, Glenn Rodgers, Jon Foley, Jeff Bolsel, Don Troup, Scott Streiner, and Dave Whitmer and Coach Tom Gordon.